Was Everything Better At Apple Under Steve Jobs? We often hear "Steve wouldn't have done that," but is that true? One of the most common refrains heard when Apple does anything that someone doesn't like is, "Steve Jobs would never have done that" (a close second: "Steve Jobs must be spinning in his grave"). Besides being a visionary leader and wildly successful businessman and innovator, Jobs was also a deeply divisive figure for much of his life. His decisions were often widely questioned, his personality dissected, his harshness and quick temper legendary. But in the years since his death, the popular perception of Jobs has been revised, turning him into a genius who could do no wrong. But is that really true? Would Steve Jobs really not have done all the things people say he wouldn't? It's impossible to know, but it's worth looking back at a few of Jobs' more controversial decisions. Some turned out to be correct, others were mistakes. We can use them all to get a sense of the kinds of things Steve Jobs really did. The price came down on the original iPhone fast. image credit: Apple Inc. When the iPhone was first introduced, it was expensive: US$499 for the 4 GB model, $599 for the 8 GB model. That's because AT&T (the only phone company that offered the iPhone at that time) didn't subsidize the iPhone. Customers were required to pay full price. Just three months later, Apple decided that the phone was too expensive and cut the price tag on iPhones by $200. Customers who had lined up on the first day the phone was released were told, essentially, "too bad." Customer response was so negative that Steve Jobs wrote an open letter to customers and offered early buyers a $100 credit at the Apple Store to make up for the change. That made things a bit better, but that wasn't the same as a $200 discount. The iPhone does, and always will, not support Flash. image credit: iPhone, Apple Inc; Flash logo, Adobe Inc.
One of the most famous and controversial decisions made in the early days of the iPhone was not to support Flash. Flash, a multimedia technology that was used on many websites, allowed browsers to support complex animations, games, apps, and media before most websites could easily do that. When the iPhone didn't initially support Flash, that could have been explained as the result of the iPhone not having apps yet. But over the years, not supporting Flash became more and more contentious. Many people said Flash was essential and that Android, which did support Flash, was superior because of it. In 2010, Steve Jobs laid out his case against Flash, explaining that Apple thought the software caused of crashes, drained battery too fast, and was not secure. Apple never added Flash support. That decision has been validated: Adobe stopped developing Flash for mobile devices in 2011. No new smartphones support it, most web browsers on desktop and mobile now block it by default, and the tool is dying off across the Internet. iPhone 4, plagued by antenna problems?. image copyright Apple Inc. The release of the iPhone 4 was a big event: it was the first phone with the beautiful Retina Display screen and support for FaceTime. But once the iPhone 4 had been in people's hands for a little while, it became clear that there was a problem. Signal strength was dropping quickly and mysteriously, making phone calls and some data connections difficult. At first, Apple didn't acknowledge the issue, but as time went on pressure grew. Eventually Apple explained that the issue was related to how users were holding the phone: if their hands covered the iPhone 4's antennas, that could cause signal strength problems. It also said that it was an issue common to other phones as well. In response to customer complaints about holding the phone in ways that caused the problem, Steve Jobs famously told users "don't hold it that way." That ultimately wasn't enough, so Apple instituted a program in which users got a free iPhone case that prevented the problem and redesigned the antenna on future phones to address it. The innovative shape of the G4 Cube wasn't sustainable. image credit: Apple Inc.
Apple is famous for the creativity and style of the industrial design of its products. One of the most unusual and cool looking computers it ever released was 2000's Mac G4 Cube. Unlike the beige towers common at the time, the G4 Cube was a small silver cube housed in a transparent case that suspended the Cube a few inches in the air. It was an appealing product and an exciting step forward for computer design. But cracks soon showed in the G4 Cube's facade—literally. Early models of the computer began developing cracks in the transparent housing around the Cube—even without the Cube being dropped or knocked into. Apple denied that these were cracks, saying instead that they were "mold lines" resulting from the manufacturing process, but the damage was done. Production of the Cube stopped in 2001. The logo of the ill-fated Ping. image credit: Apple Inc.
Apple's never been great at social networking. Its presence on Facebook and Twitter isn't substantial and for a long time it didn't integrate its products well into social media. The company attempted to change that in 2010 with the introduction of its iTunes-based social network, Ping. Before Ping debuted, the rumors were hot and heavy that Facebook would be deeply integrated into iTunes, likely making it much more valuable and helpful. However, when Steve Jobs unveiled Ping, Facebook was nowhere to be seen. Eventually, the story came out that Facebook had long been part of the Ping software, but the companies' inability to strike a contract caused Facebook support to be removed at the eleventh hour. Ping's usefulness was never clear, leaving it dead on arrival. Ping disappeared quietly two years later. 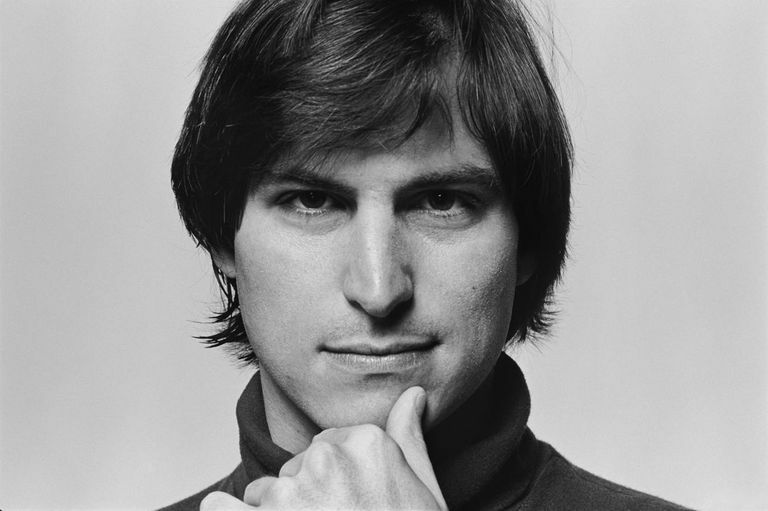 Tim Cook, Apple's current CEO was hired by Steve Jobs. image credit: Apple Inc.
One of the major complaints coming from the "Steve would never have done that crowd" is that the people running Apple now—from CEO Tim Cook and Senior Vice President of Design Jony Ive on down—regularly make decisions that Jobs would never have supported. That may be true. There's no way to know for sure how Jobs would have made any decision he wasn't alive to see. It's worth remembering, though, that the vast majority of Apple's top executives these days were hired and/or promoted by Jobs, meaning that he had great faith and confidence in them. One other important thing to remember: Jobs reportedly told Apple executives and board members, "Don’t ask what Steve would have done. Follow your own voice." The point of this isn't article to suggest that Steve Jobs made bad decisions, that he wasn't a genius, or that he didn't radically change the face of computing and modern life. He was a genius, he did transform the world, he did oversee the development of truly amazing products. The point is that no one is perfect. Everyone makes mistakes. Visionaries and leaders sometimes make decisions that aren't popular, but that are consistent with their visions. Jobs did that all the time. Some of his decisions that were unpopular have been proved to be correct. Others didn't turn out so well. That's to be expected—and the same thing applies to the decisions of Tim Cook and other current Apple executives. So, the next time Apple makes a decision that is controversial, seems foolish, or you just plain don't like, remember that it doesn't mean that it's the wrong decision or that Steve Jobs would necessarily have made a different choice.